Last week’s　Bassmaster Elite Series season opener on the St. John’s River will be one I will never forget. I won’tremember it simply because of how I finished, but for how it ended with69-year-old Rick Clunn holding the championship trophy. I had a lotof other friends fishing the finals that day, but I was pulling for Clunn, a man who has impacted thousands – if not hundreds of thousands – of anglers over his storied career. Sure, his victory was a long time coming and probably means little to the young people who never experienced Rick Clunn in his prime. But for those of us who have learned so much from him over the years, it was truly a special moment. I remember　being in awe of all the pros when I fished one of my first Bassmaster　Invitationals in the late 1980s at Bull Shoals, Ark. The first area I went to was a big creek and there sat Denny Brauer, Roland Martin and Clunn. Clunn won the tournament with a spinnerbait in that area; I finished 17th using a spinnerbait, too. 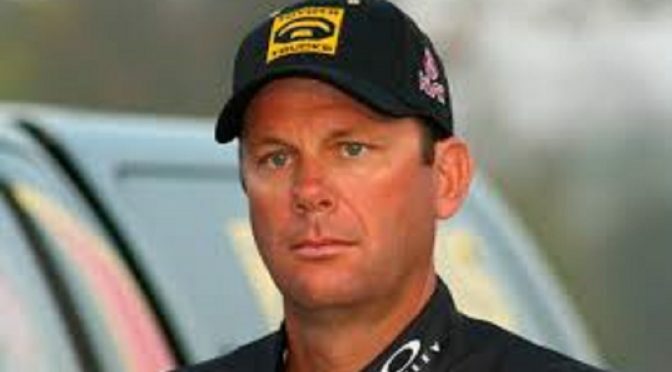 In those early days, I read Bassmaster cover to cover and soaked up every word written about Clunn and how he fished. One of the things that struck me about him was that we fished the same aggressive style. He took a　scientific approach to fishing and emphasized the importance of following seasonal patterns and made fishing decisions based upon the current conditions and time of year. I loved Clunn’s in-depth approach to pattern fishing, and I purposely modeled my style to anything I could learn from him. Back then, there was no GPS, mapping, social media or endless ways of gathering information. You had to figure it out on your own, and I believed Rick Clunn was the smartest bass fisherman on the planet. Because we share similar sponsorships with Nitro and Bass Pro Shops, we’ve become good friends over the years, and he’s always offered me incredibly poignant advice. One of the things he told me when I was younger was to realize that being youthful and inexperienced can be a good thing because you have no preconceived notions. As I gained more experience on the lakes we fished over the year, it became more and more difficult to not get caught up fishing history or previous experiences rather than staying in the current mindset and fishing conditions before you. Last week was vintage Clunn. He let the conditions come to him as the week progressed and his pattern got stronger. He read the conditions and got in that magical place all anglers dream about and everything lined up perfectly. I worked the outdoor expo during the finals and tried monitoring the live coverage when I could. While working the show, I spoke with a man who had driven two hours tobe there on Sunday with hopes of seeing Clunn win. The man said he had followed the sport for years and remembered Clunn’s fabled Bassmaster Classic win with a similar magical moment on the Arkansas River at Pine Bluff. He wanted to be a part of this one, too. That was pretty cool, and I certainly understood. We all wanted to see it. I spoke to Rick backstage before he weighed in and he shared with me a Clunnism that he mentioned after accepting the trophy: “Don’t ever believe your best moments are behind you,” he told me.